There is a new coffee place in Richmond. I decided to check it out with Polly for our probably last cake meet before the school closes for summer break. This could be our last cake meet on Tuesdays as Polly had resigned from her present job. When she looks for another job after summer, she may not get a day off during the week day and there goes our cake meet. But I wish her well in her new job seeking. 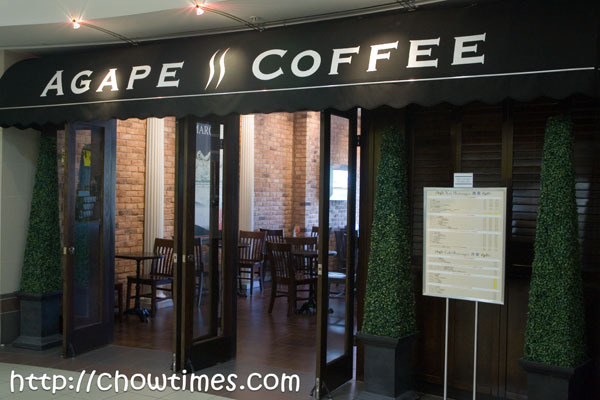 Agape Coffee is located inside President Plaza, next to T&T. 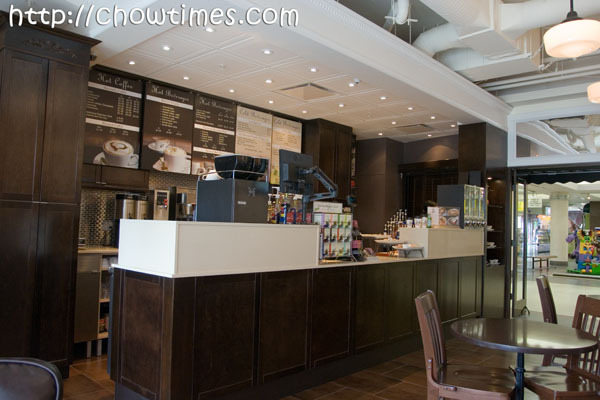 All the furnishings and equipments in Agape Coffee look brand new. We were expecting to see more desserts and cheesecakes as advertised in the Richmond Review but was quite disappointed. They only have two types of biscotti and a pastry type cookie at the moment. 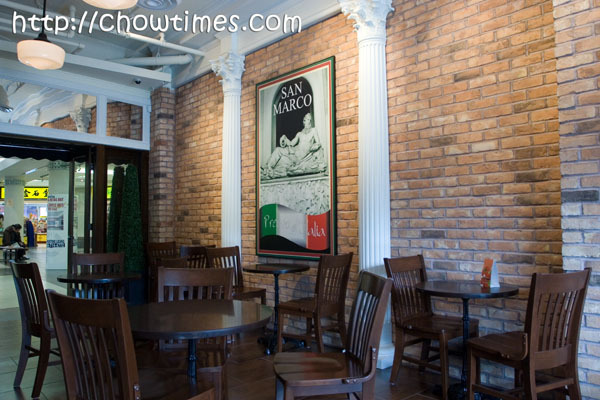 The decoration is simple and rustic with brick wall and wooden tables and chairs. We had the most comfortable seats which is two sofas by the glass wall overlooking the street. Any Tips for Vacation to Washington DC and Philadelphia? 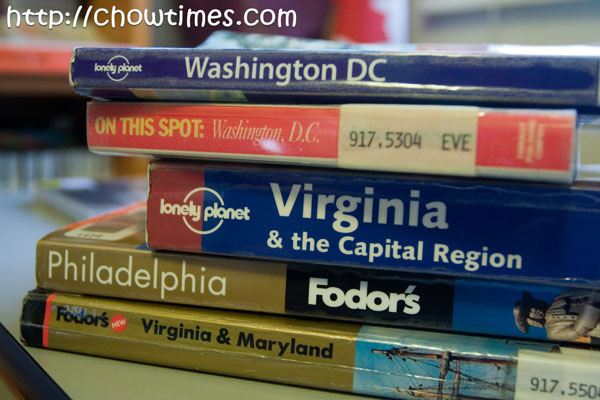 Hi All … our summer vacation this year will be a road trip from Washington DC, through Philadelphia and New York. We are even thinking of making a short detour through the Amish community of Lancaster County. This time it’ll just be Suanne and I because the boys will be in their summer camp. We’re looking forward so much to this trip because it had been over a decade since Suanne and I had a vacation just the two of us. We get very good tips from you readers. Before the Seattle and New York trip earlier, there were tons of great tips and recommendations. So, we’re seeking your recommendations again. Here is our general plan … two weeks, fly to Washington DC spend 4-5 days, drive to Lancaster County spend 1 day, drive to Philadelphia stay for 3-4 days and finally to New York, New York and spend a couple of days. We got quite a number of books and even a Pilot Guides documentary from the Richmond Public Library. We had been spending time doing research. So for now here are our shortlisted things to see, do and of course, EAT! We had planned to visit the Reading Terminal Market and the Italian Market. Oh of course we will go to BOTH Geno’s and Pat’s for Philly Cheesesteaks for sure. We would like to check out one of the taverns but not sure which would be good. We are still debating whether to go to Marimoto’s (kind of expensive). We had a list of Philadelphia area food we want to try … soft pretzels, philly cheesesteak, haogia, water ice, scrapple, yeungling beer, German butter cake, tomato pie and pork roll. That about all we have short listed so far. This will be an educational tour for us. We’ll be hitting as many museums and monuments as possible. Foodwise, the only thing we had shortlisted is Ben’s Chilly Bowl. I am sure there are more unique eateries so am looking at you to suggest. This will be a short trip to experience close up the Amish way of life. I heard that we’re not supposed to take pictures of the Amish people … is that right? Our focus here will be their unique food … Amish Friendship Bread, Pickled Beet Eggs, Schnitz un knepp, Apple Butter, Hog Maw, Birch Beer, Root Beer, Chicken and Waffle, Shoofly pie, Whoopie Pie, Funnel Cake, Fasnachts (donuts), Apple Dumplings! Any tips on this short trip to Lancaster County appreciated. I am quite familiar now with New York. Suanne wanted to see New York and since we’re just in the neighborhood, we’ll pop by for 2 days. Highlight of the trip will be New York Cheesecake and the Statue of Liberty. So … fire away. Let us know any restaurants we absolutely must check out. 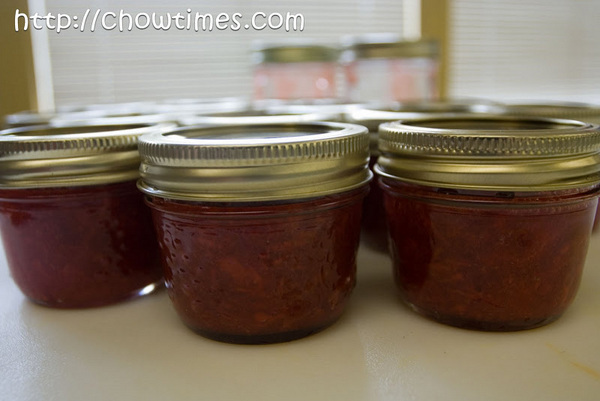 Karen showed us how to make this beautiful Strawberry Freezer Jam. Summer is the time where we get all the delicious, nutritious and antioxidant laden berries and what better than preserving them in freezer jam for enjoyment all year round. The Freezer Jam can be refrigerated for up to 3 weeks or freeze for up to 8 months. 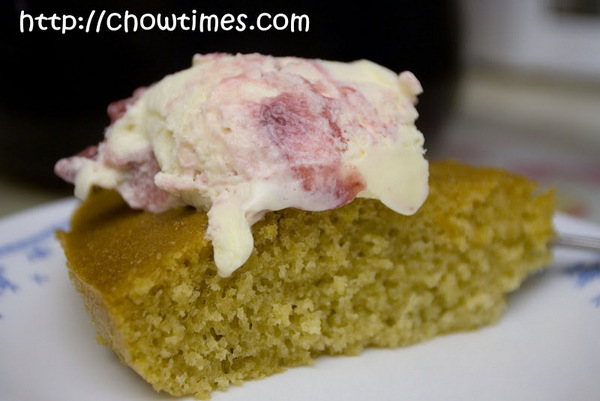 This is a no-cook freezer jam using light pectin crystals. 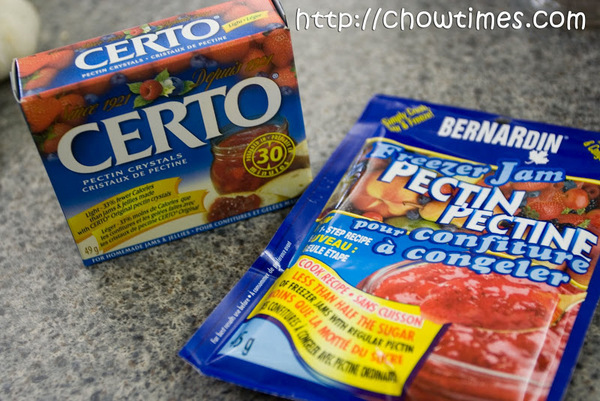 The freezer jam pectin requires less than half the sugar used in freezer spreads made with regular pectins. Do not use overripen strawberries for making freezer jam. 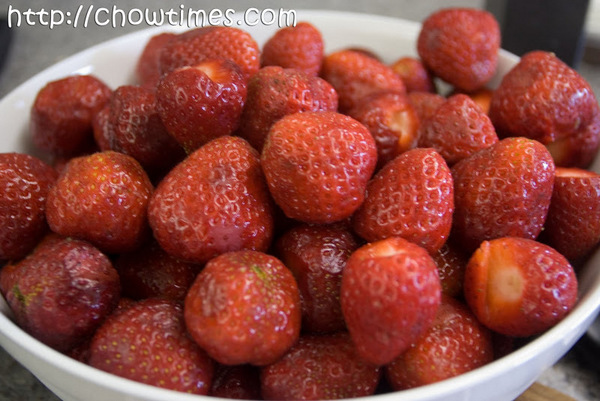 This is due to the need for the acidity in the strawberries to react with the sugar and pectin to form the jam. I was invited by Arzeena to attend another workshop at the Garrat Wellness Center again. This time, it’s Savouring Spring longer workshop. The workshop is conducted by Karen Dar Woon who cooks for the community meal at Gilmore Park Church. Karen demonstrated to us how to do home canning using the heat processing method and make a no-cook freezer jam. The first demonstration is making Dilled Beans Pickles using the heat processing method. 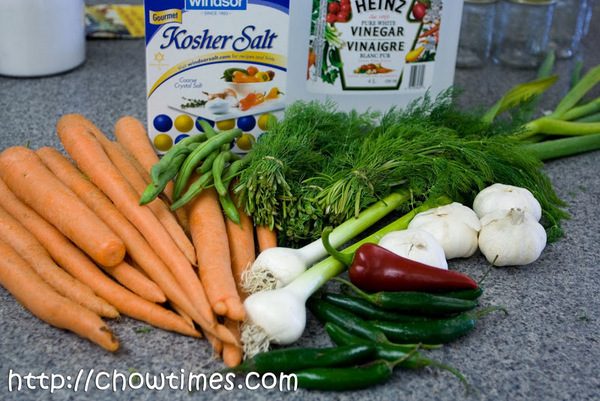 The green beans and carrots are steeped in a zesty dill brine. These pickles can be used in salad, relish trays or as garnishes. 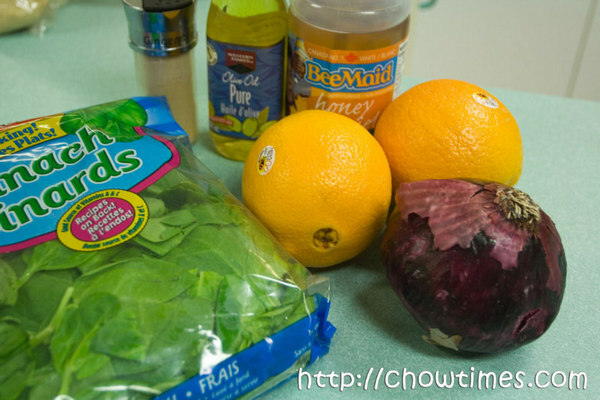 You can mix the brine with a bit of salad oil to make a flavorful vinaigrette dressing. 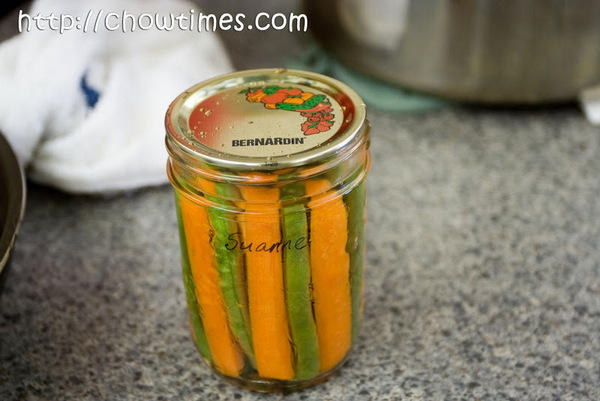 These pickles can be kept for 1 year if you follow the proper home canning method. The heat processing canning method kills the enzymes in food which cause the food to rot or spoil. Since we are preserving the food in a high acidity environment in our case, harmful bacteria will not survive in it. To learn more about home caning, you may visit this page. I am still hurting all over the day after — very badly. It was pure torture to say the least. I could barely walk up stairs today, the day after doing my first Half Marathon. To tell the truth, I could not even bring myself to step up a 3″ curb on the sidewalk today. But it was great fun. The day started early. Suanne drove me to UBC just in the nick of time. I had barely 3 minutes before the race start after having lined up for 10 minutes at the port-a-loos. Seems like everyone is waiting to make a final pee before the start. I tried to get to near the start of the line because I figured I’ll be one of the slowest runner and I better have a head start or else I will be quite lonely towards the end. It started off OK. I was telling myself to run at my pace. 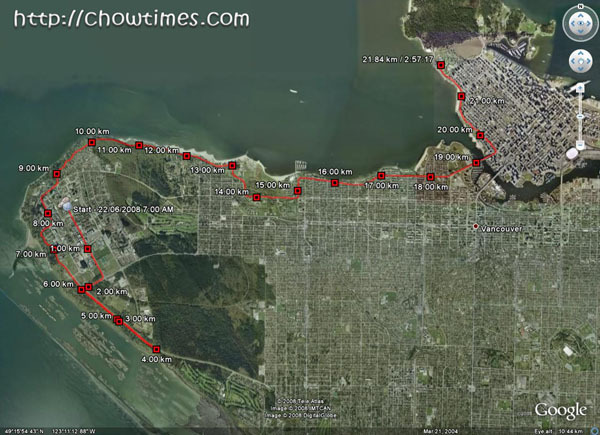 My goal was to consistently stay within the 8:00 minute/km pace and I will make it well within my goals. 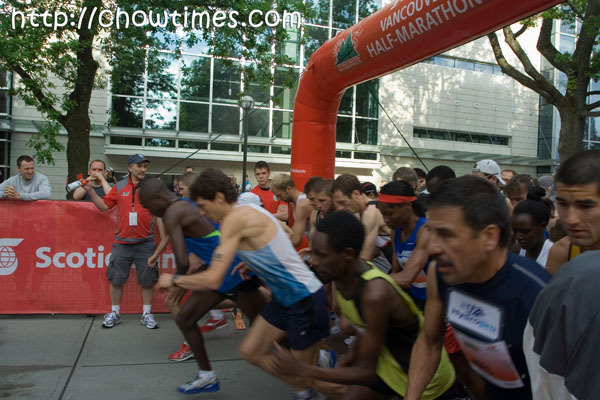 The starting pace was 5:30 which was good and I felt strong. The secondary school ended the school year in the middle of June except for those who need to sit for provincial exam. Instead of going out for cake meet with Polly, we brought along our eldest sons (Arkensen and Webbie) who are in their early secondary grades for an all you can eat sushi lunch at Kisha Poppo Japanese Restaurant. They cant get enough of sushi. 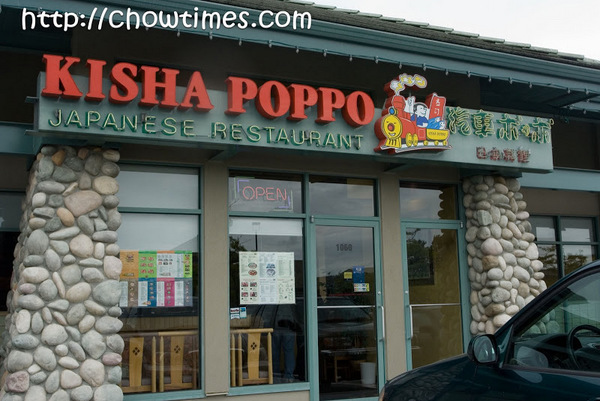 Kisha Poppo has two locations in the Lower Mainland, one in Vancouver and the other in Richmond. 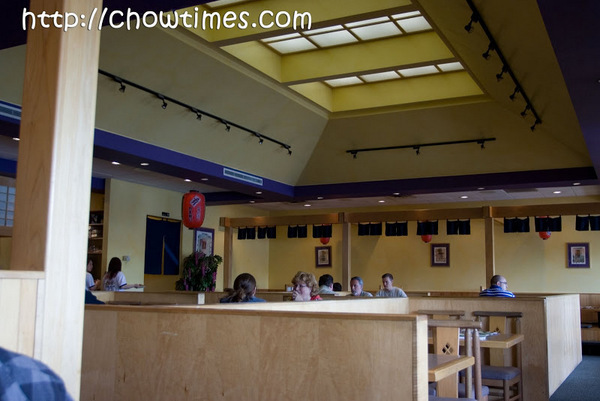 We went to the one in Ironwood Plaza, 1060-11660 Steveston Hwy, Richmond. Although I had checked out the reviews for this restaurant which turned out to be not very good, we just wanted to give it a try. Anyway, most of the all you can eat sushi place have bad reviews. We were there at 11:30 am where it just opened for lunch. The place actually fills up quite quickly as there were quite a lot of office workers who dine here, perhaps due to the proximity to their offices. We opted for the All You Can Eat Lunch as the boys can eat a lot. 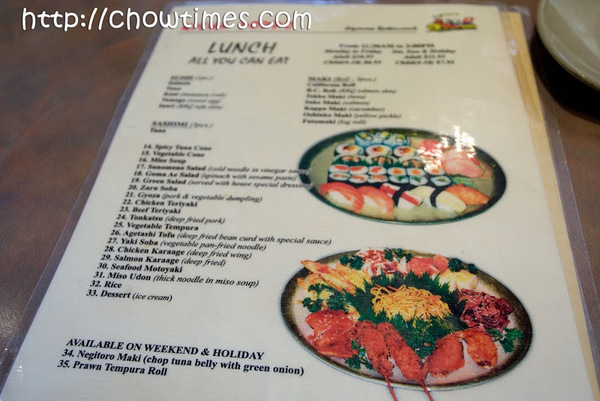 The AYCE lunch is $10.95 for adult on weekday where the menu has 33 items to choose from. We find that the service is very poor. First of all the service is slow. We have to wait for our food and there were times that our table is empty. We also dont like the way the order is taken. They did not supply an ordering sheet for us to write down our order. Instead, the waitress will take the order verbally and she rushed us through the order process and she seemed impatient when we stop to look at the menu. Overall the food is decent for an AYCE. 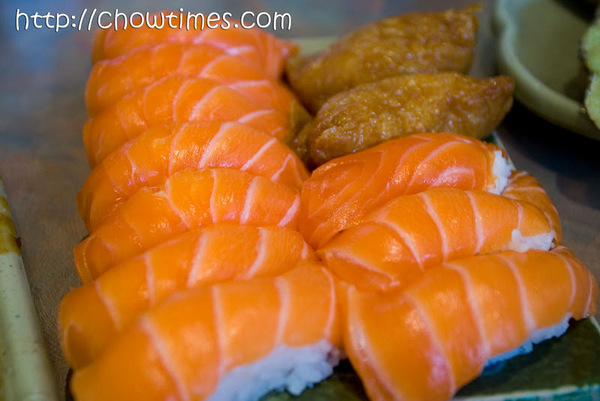 The only item the boys like is the salmon sushi. They had 23 pieces of salmon sushi all together. Click on the link below for more photos of food. I have been looking for a proven recipe for Ma Lai Ko but not successful until now. 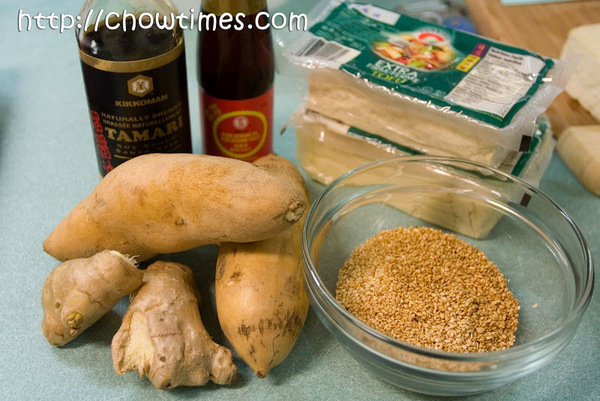 This is another Ma Lai Ko recipe I found from a blog by bigboysoven. 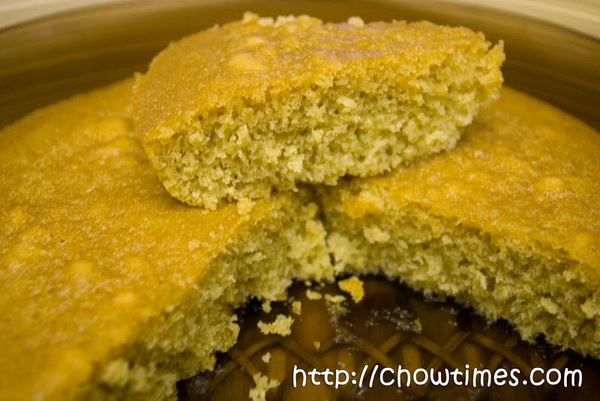 The texture of this Ma Lai Ko turns out quite spongy except that it’s bitter due to the amount of baking soda in the recipe. I do have a little doubt when I measured out the ingredients as I thought 1 tablespoon of baking soda seemed too much. Perhaps, 1 teaspoon is more reasonable and there should be some form of acidic components like lemon juice, yogurt, cream of tartar or buttermilk to go along with the baking soda in order for it to release carbon dioxide, i.e. to make the batter rise. Alternatively, the baking soda can be substituted with baking powder which is made of baking soda plus some acidic components. No wonder bigboysoven recommended to serve the Ma Lai Ko with some ice-cream. The sweetness of the ice-cream does mask the bitterness of this Ma Lai Ko. I try to serve it with honey for breakfast but the honey is not sweet enough to mask the bitterness. I ended up throwing away the rest of the cake. Do you have a proven Ma Lai Ko recipe to share? I would love to try it out. Here is a successful version of Steamed Ma Lai Ko I discovered later. This blog is in response to Remya’s comment on Moist Chocolate Cake. I have no idea of how to bake the Moist Chocolate Cake in an oven which only has grill and reheat function. But I thought of the Chinese way of making cake which is by steaming. So, I experimented with half of Moist Chocolate Cake recipe with steaming instead of baking. I used half of the recipe because that’s how much my steamer can accommodate. 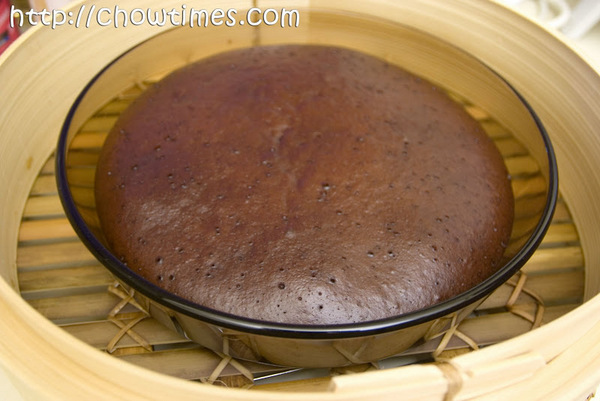 I steamed the cake for 30 minutes over high heat. The cake turned up absolutely perfect, very moist and chocolaty. I would recommend using the steaming method in the hot summer. 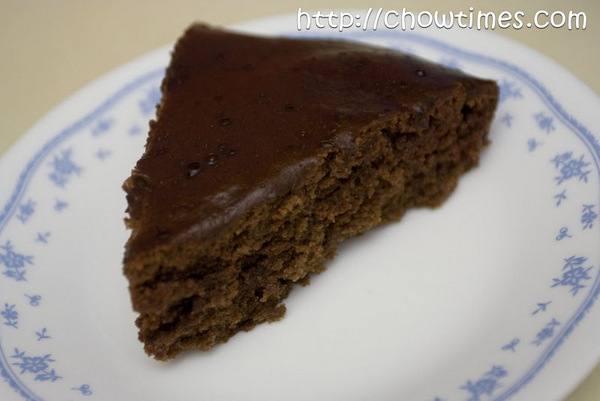 Remya, I hope you will try out the steaming version of the Moist Chocolate Cake. Tofu is a source of protein for vegetarian. One half-cup serving of raw firm tofu has double the content of protein from one half-cup of dairy milk. Tofu is low in calories for the protein it packs in. One half-cup of tofu contains 94 calories. For comparison, for each 100 calories serving, tofu contains 11 grams of protein while 100 calories of ground beef provides 8.9 grams of protein, and a 100 calories serving of cheese contains 6.2 grams of protein. Tofu is a cholesterol-free food, as are all plant-based food. One half-cup serving of raw firm tofu has only 5 grams of fat. One half-cup serving for firm tofu contains about 227 mg of calcium or about 22% of the recommended dietary allowances (RDA). One half-cup serving of firm tofu contains about 1.82 mg of iron, this can vary greatly, depending on the brand. The RDA for women is 18 mg, and 8 mg for men. 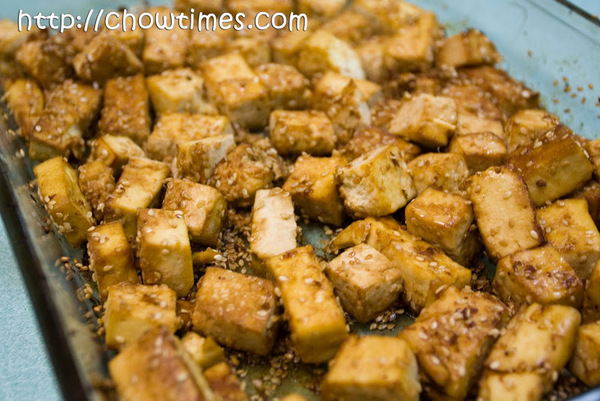 The Sesame Baked Tofu takes on the flavour of the seasonings as tofu itself is quite bland. The toasted sesame seeds gives the dish some crunchiness and nuttiness. This dish goes well with some baked sweet potatoes. Here is the recipe for the Spinach Salad with Orange Sesame Dressing prepared by the seniors in the Cooking Club for Seniors in South Arm Community Center. This salad is a nice change from lettuce and tomato and much less expensive. In spring, one can get a bunch of spinach for fifty cents. Spinach and oranges are both rich in fibre and folate, as well as vitamins A and C. Spinach is a rich source of iron and that’s why the Chinese use spinach for treatment of anemia. Spinach is undoubtedly one of the best nutritional valued healthy vegetable as the creator of Popeye the sailor man cartoon used spinach as a source of strength. This salad is very refreshing with the citrus dressing. 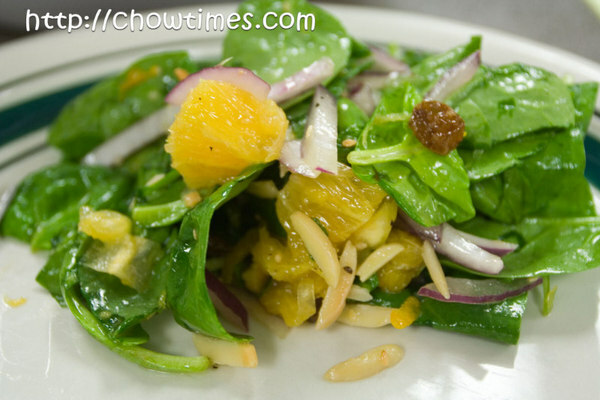 The toasted sesame seeds and slivered almonds add crunchiness and nuttiness to the salad. Wash and dry spinach using a salad spinner. Tear the spinach into bite-sized pieces and place in a serving bowl. 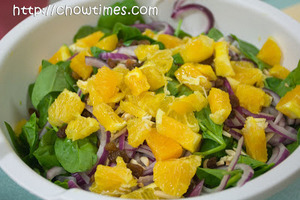 If you are using pre-wash spinach sold in plastic bag, you can skip the above step.Finely grate a small amount of peel from the orange and set it aside for the dressing.Peel the orange, slice it into bite-sized pieces and add it to the spinach. Add chopped onion, raisins and toasted almond. Prepare the dressing by adding all the ingredients for dressing in a bowl, mix well. You can use a jar and shake the ingredients to mix.When ready to serve, pour the dressing on top of the spinach and orange slices and sprinkle with sesame seeds. It was a long story why we added the sesame seeds to the dressing.You may replace the orange with strawberries when they are in season. 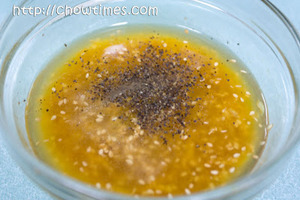 You may also substitute the sesame seeds with poppy seeds.